There are 2 ferry routes operating between Gran Canaria and Tenerife offering you combined total of 58 sailings per week. 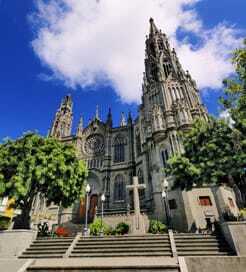 Trasmediterranea operates 1 route, Las Palmas to Santa Cruz de Tenerife which runs 1 time weekly. Naviera Armas operates 1 route, Las Palmas to Santa Cruz de Tenerife which runs 1 time weekly. 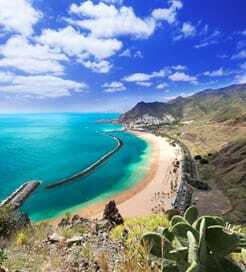 Fred Olsen Express operates 1 route, Agaete to Santa Cruz de Tenerife which runs 8 times daily. As the frequency and duration of crossings on some routes varies we would advise that you do a live search for crossings from Gran Canaria to Tenerife to get the most up to date information.